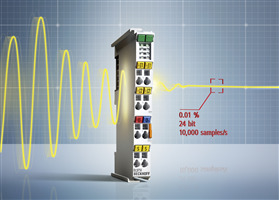 Summary: Recently, the EtherCAT Technology Group (ETG) welcomed its 4,000th member into the organization. 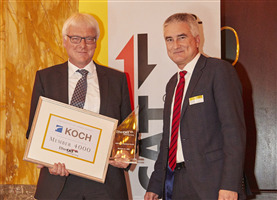 The official tribute to KOCH Pac-Systeme GmbH, a supplier of advanced packaging machinery equipped with EtherCAT and EtherCAT P, took place in the frame of the SPS IPC Drives 2016 trade fair in Nuremberg, Germany. Summary: The EK9160 IoT Bus Coupler transmits all control data simply, safely and costeffectively to all common cloud systems in plug-and-play mode. 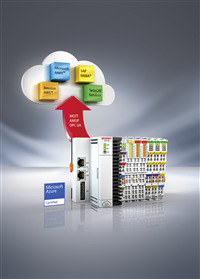 Cloud services and security functions used.The EK9160 establishes a direct connection without any special control program between Beckhoff EtherCAT I/O and the Internet of Things (IoT). 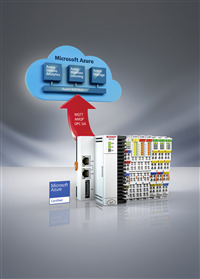 As a result, the coupler enables simple and standardised integration of I/O data with cloud-based communication and data services. Summary: high-precision EtherCAT Terminal EL3751 At 10,000 samples per second, a measurement accuracy of ±0.01 % and 24 bit resolution, the EL3751 provides high-end measurement technology as part of the standard I/O system.is long-term stability, flexible filter configurations (e.g. band stop), and extensive parameterisation options for the analog input which supports the measurement functions U, I, R, DMS (strain gauge) and RTD. Summary: Hannover Messe 2016 presents a special exhibit at SAP booth - the integration of manufacturing with a production line. 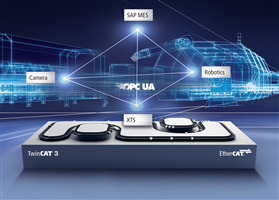 The SAP Manufacturing Execution Suite communicates directly with the XTS on the basis of standardised services acting as an interface between different “order processing languages” the TwinCAT software connects the machine and a SAP system. The order processing communication, which is based on the service-oriented architecture (SOA) concept, is realised with OPC UA. 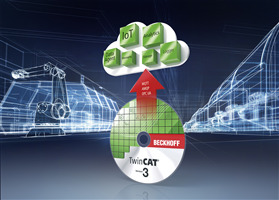 Summary: Experience ‘Integrated Industry’ now: With ready-to-use products for IoT and Industrie 4.0 from Beckhoff. Title: Beckhoff opens technology centre in "Silicon Valley"
Summary: California's "Silicon Valley" is home to the leading companies in the IT and semiconductor industries. Beckhoff opened its new technology centre in April 2016 next door to Intel, Apple and Google, cementing a local presence in the hotspot of IT and electronics development. The Beckhoff technology presentation aims to serve customers from all over the world.